Cinnamon has been around since before the Pyramids. That’s a long time. According to records, it was imported to Egypt back in 2000 BCE (the first Egyptian Pyramid was constructed in 2630 BCE), and it’s been spicing up cuisines worldwide ever since. Mixed with cayenne in chocolate in Mexican dishes. In the States, with sugar and rolled into buns. In Persian cuisine, in thick soups, rice, or tea. Personally, we love it sprinkled on oatmeal or whisked into golden milk. It’s tasty, healthy, and has been around for ages for a reason, so let’s find out why. 1) It’s full of antioxidants. You know free radicals? Those looming cancer-causing agents? Well, antioxidants scavenge for them. They help to reduce amounts free-radicals in the bloodstream and can help with cancer prevention. Cinnamon is loaded with antioxidants. Therefore, more cinnamon = more antioxidants = fewer free radicals = improved cancer prevention. Cinnamon’s got your back. 2) It contains anti-inflammatory properties. Cinnamon also has anti-inflammatory benefits. Inflammation is your body’s immune response to infection. In small doses, this is a good thing, but this becomes a problem when your body’s immune system is constantly on alert. Inflammation can be caused by poor diet, stress, or a sedentary lifestyle. Anti-inflammatory foods, like our dear friend cinnamon, can reduce this. This is particularly beneficial if you struggle with chronic inflammation like rheumatoid arthritis or Crohn’s, but in our day-to-day lives, this can help with pain management, muscle soreness, and PMS pains as well. 3) It’s a natural breath freshener. 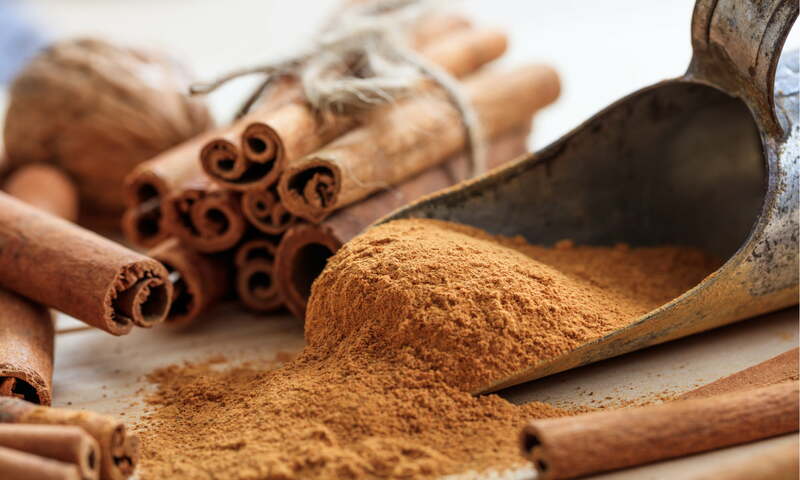 Unbeknownst to most, cinnamon’s antibacterial and antimicrobial properties help prevent tooth decay and plaque. As well, like the gum industry has already capitalized on, it freshens breath too! It’s a perfect addition to your natural mouthwash or toothpaste for improved oral care and fresh breath throughout the day. Sayonara Listerine. 4) It’s an allergy fighter. Because of its anti-inflammatory properties, cinnamon can give your system a boost so it can fend off those seasonal sniffles. Try adding it onto yoghurt or into smoothies to kick-start your immune system. Be wary though, cinnamon allergies are a real thing. Make sure you don’t have an allergy before using it to fight allergies, or that’d be terribly ironic. 5) It works to improve skin health. Since it contains anti-microbial and antibiotic properties, cinnamon is great for skin irritations, anything from rashes to acne. Mix it with honey, another antioxidant-rich food, for the ultimate natural skin care combo. The two together have shown to clear up acne and pimples, while also treating eczema and ringworm. DIY tip: try it as a face mask! Mix 2 tbsp of honey (the glue for most natural face masks) with 1 tsp of cinnamon until it forms a paste. Do a patch test on your hand (make sure allergies don’t act up! ), wait 10 minutes, and if you’re in the clear, apply the mask to your face. Rinse with warm water after 30 minutes. July 14, 2016 - Harvest of peaches, plums and apricots has started. Due to a warm spring, harvests continue to be earlier than normal seasons. Try our organic BC fruit in our Calgary and Edmonton markets.